The migrants will be accommodated in centres "with an average of 80 to 100 places." This will allow the gradual closure of the school gymnasiums that were used as temporary accommodation for migrants this summer. In its announcement, the prefecture said these centres will be spread out over "all municipalities" in the Ile-de-France region. Ile-de-France is also known as the "Parisian Region" because it encompasses the French capital and its metro region. 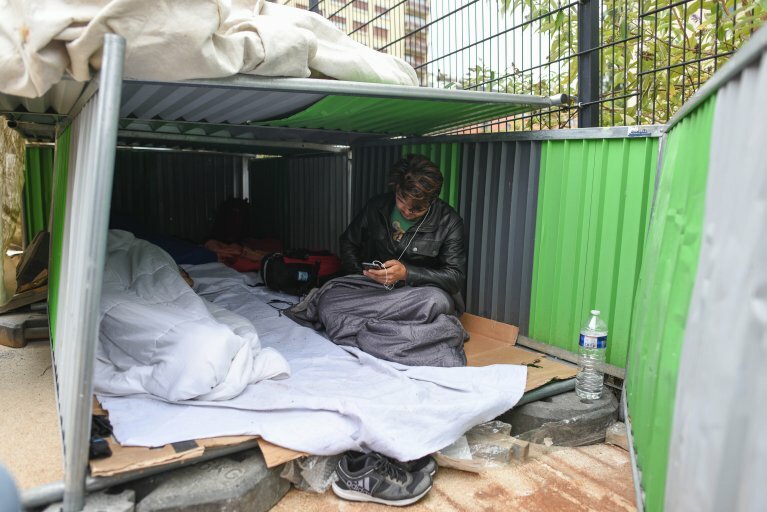 Currently, migrants who have been dislodged from sleeping rough on Paris' streets have been referred to Reception and Administrative Situation Examination Centres (CAES) – the first step in a complex care chain. In the past few years, Paris has seen a constant dismantling and reconstruction of migrant and refugee tent camps. Most recently, camps located at Quai de Valmy in central Paris and near the “Millénaire” shopping mall in the north of the capital, were dismantled in mid-May. Today, more than 700 migrants live in precarious and undignified conditions near the Porte d’Aubervilliers in the north of the city. In the Ile-de-France region, there are currently five CAES centres, with the capacity of taking in 750 people: In Paris’s 18th arrondissement (boulevard Ney), in Ris-Orangis (Essonne), in Cergy (Val d’Oise) as well as in Nanterre (Hauts-de-Seine), and in Vaux le Plenil (Seine-et-Marne). Migrants stay an average of 11 days in these centres, giving them time to start their French administrative processes. They are then processed related to their rights to stay (rights to asylum, refugee status etc…). With the additional accommodations, the Ile-de-France region estimates to have a total of 9,000 emergency accommodations on offer. "The idea is to propose dignified accommodation and direct them towards buildings," Antoine Troussard, the deputy leader of the prefecture told the news agency AFP.